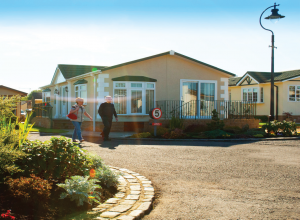 ABOVE: Red Deer Village at Stepps is only one of a handful of residential parks for the over 50s throughout Scotland. Returning north of the border after many years living in southern England and abroad, brothers John and Ivan Hendry were surprised to find that Scotland’s park owners had not embraced the trend for luxury residential park living they had seen elsewhere. 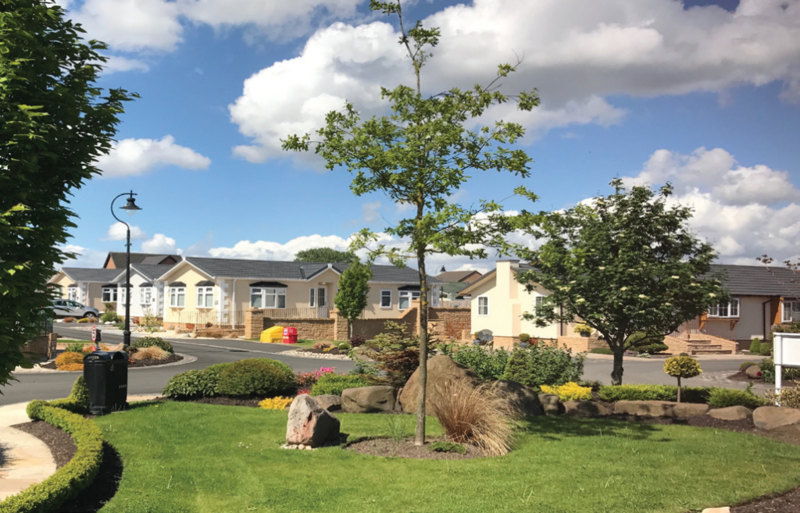 Red Deer Village at Stepps, on the doorstep of Glasgow, is still only one of a handful of retirement villages for the over 50’s throughout Scotland – and is the only one in North Lanarkshire. The Hendry family have owned the land since 2004 when they first purchased Red Deer Village Holiday Park as a going concern. Spotting a gap in the market fi ve years ago, the family vowed to introduce high quality residential homes to the region. 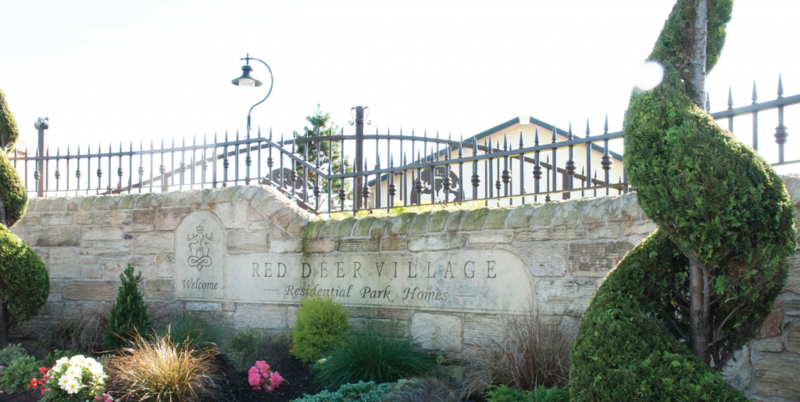 Today, Red Deer Village is home to over 80 residents across 57 park homes on a beautifully landscaped site adjacent to the fi ve star rated holiday park. New homes are currently selling from a third phase of 30 park homes, and the park will eventually featurea total of 187 homes spread across five development phases. After five years of operation, John Hendry says he is surprised not to have seen more of this type of development in Scotland by now. “Whilst it’s very special to be only one of a handful of residential villages offering this concept, we would like to see an expansion of this sector in Scotland. We’re not scared of competition! It would be a good thing, as we are confi dent that our product is the very best it can be.” The Hendry brothers manage the park with the help of 14 staff, their children and sister Ashleigh, who is responsible for designing the interiors of all the luxury park homes at Red Deer Village. ABOVE: In September 2018, the Scottish park celebrated the first anniversary of its bespoke community hub, built by Pathfinder Homes. The homes in the park are sourced from leading supplier Stately Albion, and finished with unique touches by interior designer Ashleigh that reflect the park’s Scottish heritage. According to the team, a particular challenge is raising awareness that purchasing a home in a residential park like Red Deer is an attractive financial solution for downsizing in your 50s, rather than just a housing option for very elderly people. A strong sense of community shared amongst like-minded people is one of the key benefi ts of park home living and Red Deer Village is a prime example of a park that really does put its residential community at its heart. 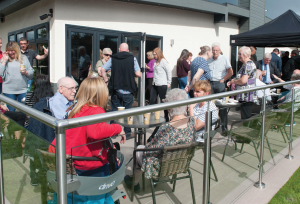 In September 2018, the Scottish park celebrated the fi rst anniversary of its custom-built community hub, a £450k building created by Pathfi nder Homes, and the fi rst of its kind in the UK. ABOVE: The homes int he park are sourced from leading supplier Stately Albion. Pictured Stately Albion Kensington. ABOVE: Red Deer Village takes its eco-credentials seriously and the park has won numerous Silver BH&HPA David Bellamy Conservation Awards, and has achieved Gold for the last three years.